Summer is here in Miami! Grooming Tips to keep your pup cool and comfy! Summer in Miami is no joke! Its critical to make sure our long-haired pets remain cool and comfortable through the hot summer months. Soaring temps can pose a real threat to cats and dogs, just as it can to humans. As a responsible pet owner, it’s up to you to make sure your pet is safe during the hotter months in Miami. If your dog has very long fur, it is like wearing a fur coat in 95-degree weather, so keeping your pets coat clear of mats and debris, combing frequently to keep hair thin and comfortable, and providing water at all times can help keep your pet cozy. Just like dogs, longhaired cats can easily overheat as well, even if they stay indoors. Regular brushing with a special comb designed to remove the undercoat will make it easier for your dog to better regulate body temperature during hot weather. We recommend the furminator which is a deshedding tool that is great for removing the undercoat. Frequent brushing will help thin the coat along with reduce and prevent matted fur. Brushing often also reduces the size of the knots even when they do appear . Clipping of long hair regularly can help keep your dog or cat cool. Longhaired cats can certainly benefit from a clipping as well! NOTE: Longhaired breeds DO NOT need to be shaved to stay cool in the hotter months!!!! Did you know longhaired breeds have guard hairs on the top layer of fur. These guard hairs do not shed and protect the skin from the sun’s rays. Longhaired breeds could burn very easily so be aware that they shouldn’t be clipped too short. Trimming longhaired coats too short could cause permanently damage to the coat and its ability to insulate the animal in cool temperatures. Be sure to talk to a professional and get all the details before clipping your pet. Warm weather means more mosquitos, fleas, and ticks! Spring and Summer is when these bugs are most active. Be sure to keep your pet up to date on flea/tick and heartworm medications. Those pets that are prone to skin allergies can benefit from a shorter coat. Its easier to spot irritations and a long coat could exacerbate the irritation as well. Be sure to bathe your pet regularly especially if they spend a lot of time outside. Pesticides and even dirt and plants can leave a residue on the fur which may cause skin irritation. Sun burns and skin cancer is a real problem! Breeds such as poodles who have much of their fur trimmed, can be very susceptible to sunburn. Be cautious and provide the proper protection from the sun for your pet. 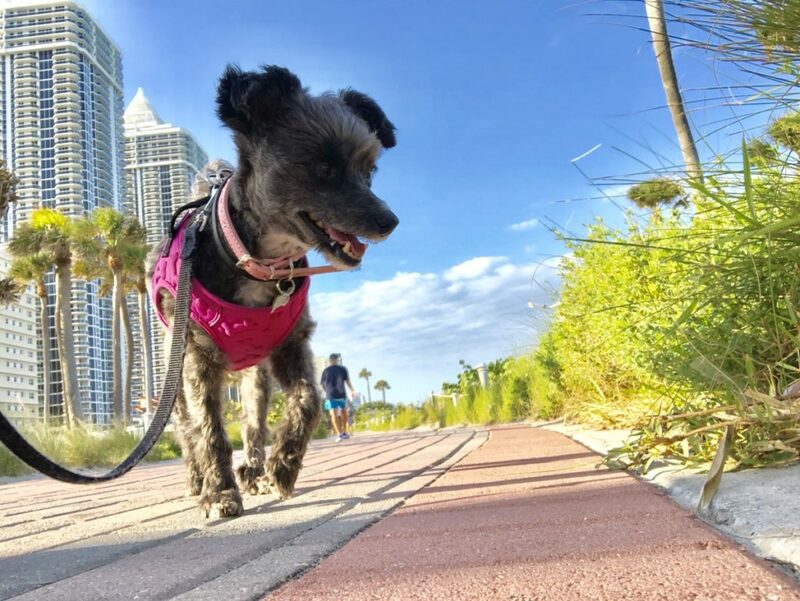 Proper grooming should be a part of your pets regular routine all year long, no matter what time of year or length of fur but we need to be extra cautious during the Miami summer months. 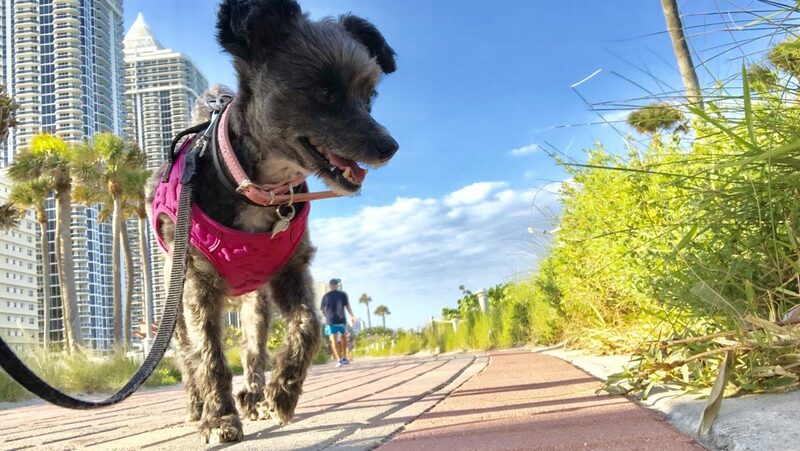 La Vie Pet Salon has been recommended as one of the top groomers in Miami Beach and is a trusted groomer for Waggy Tail Pet Care. Great tips! 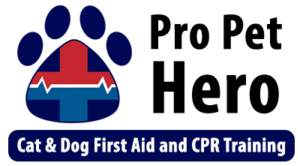 Thanks for all you do for our Pups!